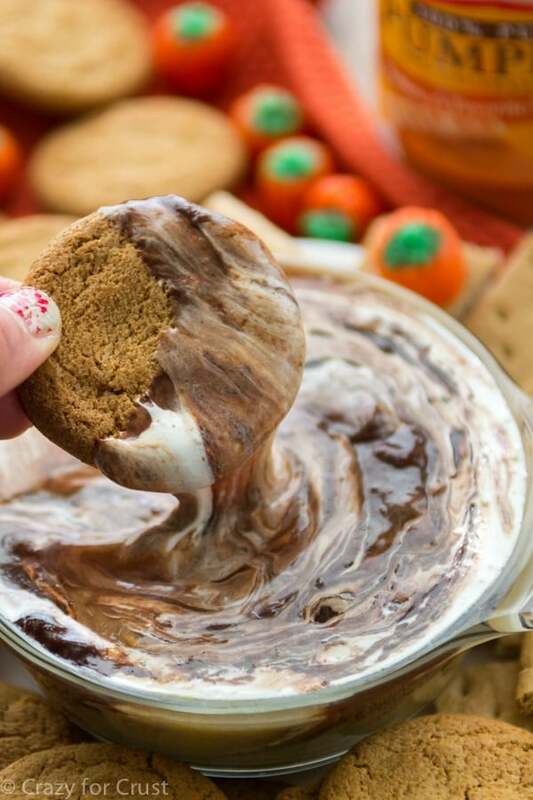 This Skinny Peanut Butter Dip is totally all-purpose. I ate it for breakfast, lunch, snack, and dessert! Watch me make this LIVE on Facebook! This schedule, while annoying on days off, has always worked well for school. In K-3, snack recess was at 9am and lunch was served by 11:30. Last year, lunch pushed off to 11:45 but it was still okay. This year? Jordan had a panic attack on the first day: snack recess isn’t until 10:30 and lunch isn’t until 12:30. This means that she goes at least 4 hours between breakfast and eating again. Cereal for breakfast and a granola bar for snack are no longer cutting it y’all. We’ve gotta make some changes up in here and we’ve gotta do them FAST because, according her Jordan, she’s staaaaaaaarrrrrrving. Let’s keep it real here: I’ve made a lot of sweet dips in my time but rarely are any of them, dare I say, good for you. But here’s the thing: this recipe might be a lot healthier, and it might have tons of protein and not a ton of sugar, but you wouldn’t know it. It’s just as addicting as this dip, only you don’t have to run 10 miles to work off a few tablespoons. Plus? Your kids will like it. And it’ll get them to eat the fruit in their lunchbox! All you need to make this recipe are three things: Greek yogurt, peanut butter, and maple syrup (or honey). That’s it! By now you guys know that I love Safeway. I shop there every week for just about everything. (Seriously, if you’re not using their Just for U, you’re missing out!) I love all the store brands but I especially love their organic brand, O Organics. It’s an entire line of over 400 USDA certified organic products that are offered at value. As in – they’re affordable. You can use the O Organics products to make all sorts of different school lunch recipes. 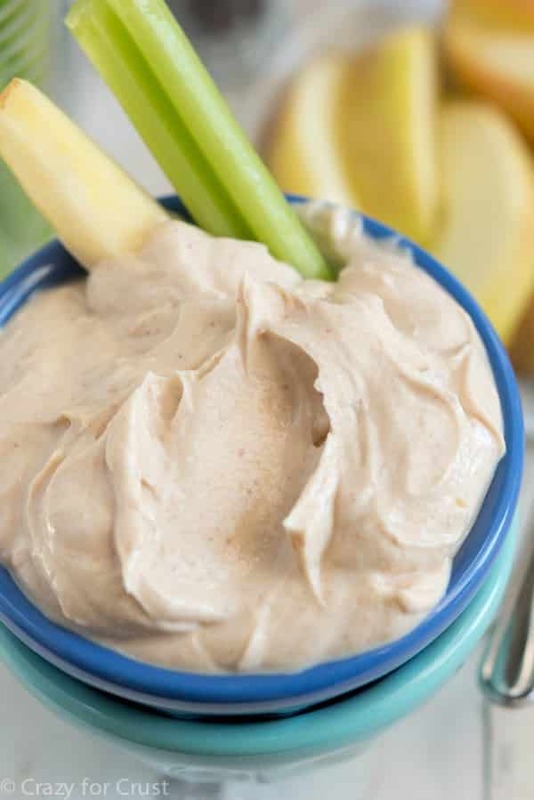 If you don’t do peanut butter, try their recipe for Yogurt Dipping Sauce. I plan to make Jordan some homemade fruit leather because she’s always begging for the unhealthy kind when we go shopping together (there’s even a DIY video for it). You can even make, you know, real food, like Turkey Pesto Pinwheels and Chicken Salad Wraps, all with O Organics. Okay, I’ll be honest. This dip only made it to Jordan once. I inhaled the rest of it. I guess I could write you recipe notes for this recipe but really? It’s so easy. Measure, stir, eat. 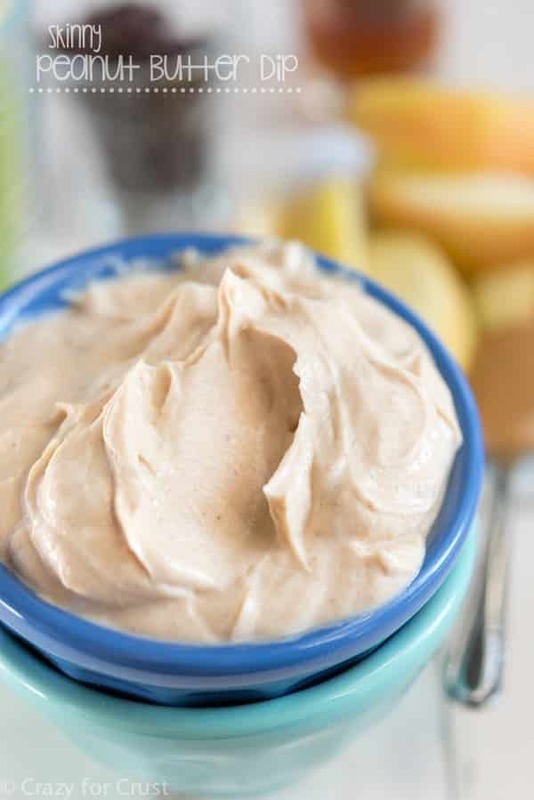 This Skinny Peanut Butter Dip has only 3 ingredients!! 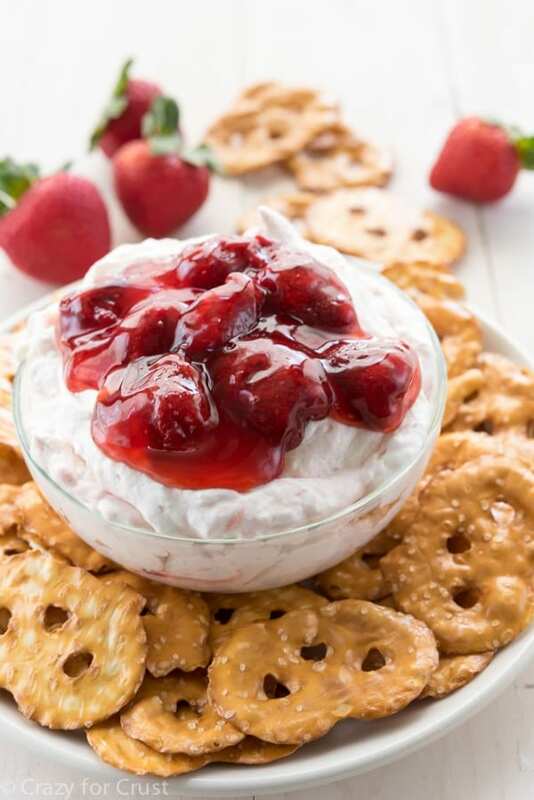 Make it for breakfast, lunch, or an after school snack or even as a game day dip! Stir yogurt, peanut butter, and maple syrup or honey until no lumps remain. 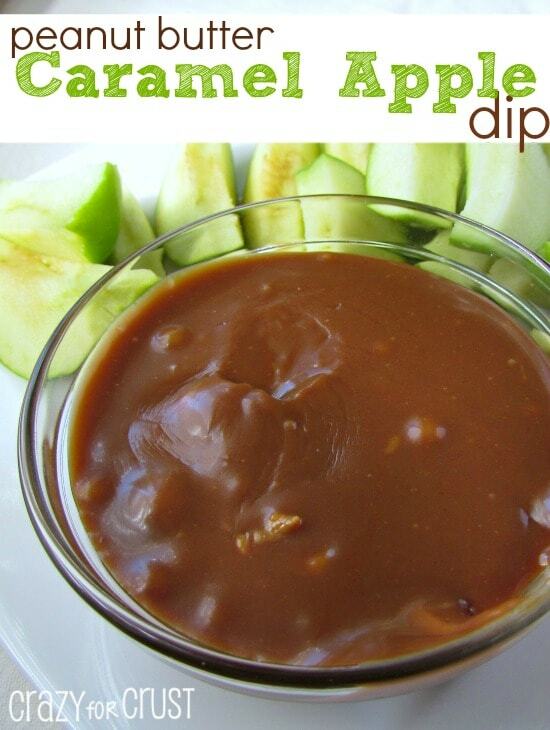 Serve with assorted dippers. Store in an airtight container in refrigerator for up to 1 week. A growing girl needs her snacks! OMG. I am so very excited about this PB dip. 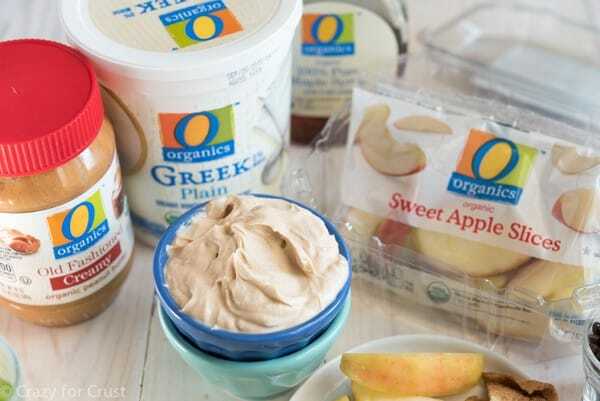 never thought about adding greek yogurt to make it a dip – thank you for this! Could you use vanilla Greek Yogurt instead of plain? Never mind! I missed the first part of your video, but just listened and heard you can use vanilla yogurt. I would just add less honey or maple sugar to counteract the added sugar of using the vanilla over plain. Exactly! Just do a taste test for sweetness. Enjoy! How many serving are in this recipe?? It sounds amazing tho and I can wait to try it thank you for sharing this. I am looking to expand what type of things would dip well with this. I love apples and pretzels with peanut butter but not celery so much. You mentioned crackers. What kind do you suggest? 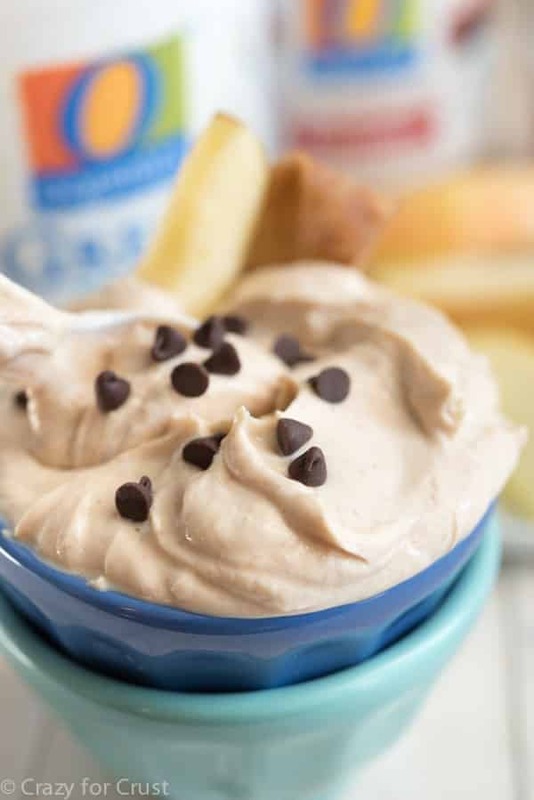 A light sweet dip that is likely to appeal to children.